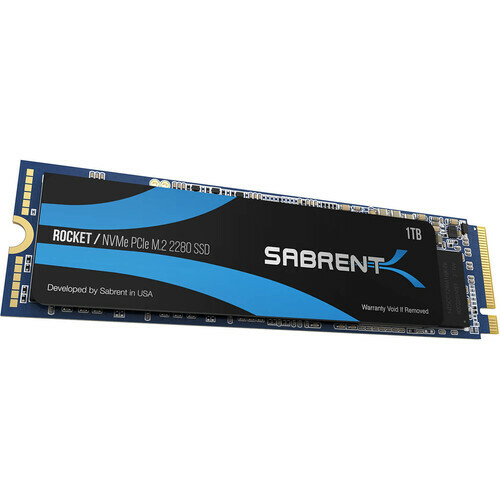 The ROCKET Internal High Performance SSD is designed to be compatible with computing systems that house an NVMe PCIe M.2 interface with a form factor of 2280 (80mm), which allows you to store your data safely. This 1TB solid-state drive is made from durable aluminum and delivers support for flash disk and USB 3.1 technology. Moreover, the ROCKET can deliver read speeds of up to 3450 MB/s and write speeds of up to 3000 MB/s. Other notable features include compatibility with NVMe 1.3 and PCIe 3.1 standards while built-in power management can support allows this SSD to work with Autonomous Power State Transition, Active State Power Management, and L1.2 low-power standby modes. This SSD is also designed to work with Open NAND Flash Interfaces, including ONFi 2.3, ONFi 3.0, ONFi 3.2, and ONFi 4.0. Additionally, there is support for SMART and TRIM Commands along with integrated Advanced Wear Leveling, Bad Block Management, and Over-Provision technology. 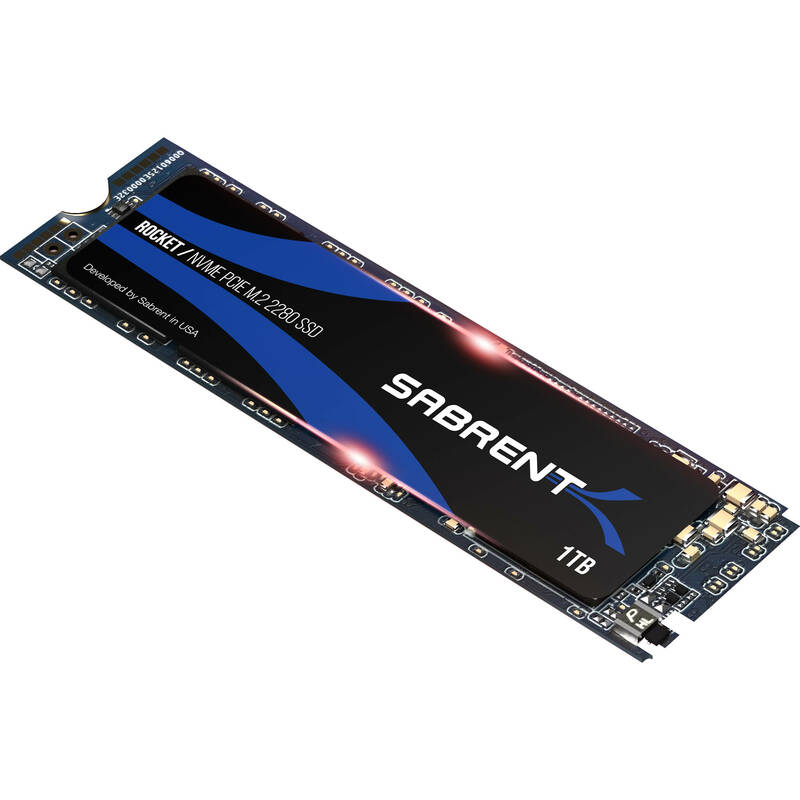 The Sabrent NVMe USB 3.1 External Aluminum SSD delivers the advantages of flash disk technology with PCIe Gen3 x4 interface and it is fully compliant with the standard Next Generation Form Factor (NGFF) commonly known as M.2. The power consumption is designed to be lower than traditional hard drives. It supports SMART and TRIM commands, along with ONFi 2.3, ONFi 3.0, ONFI 3.2 and ONFi 4.0 interfaces. Box Dimensions (LxWxH) 5.9 x 4.7 x 1.1"